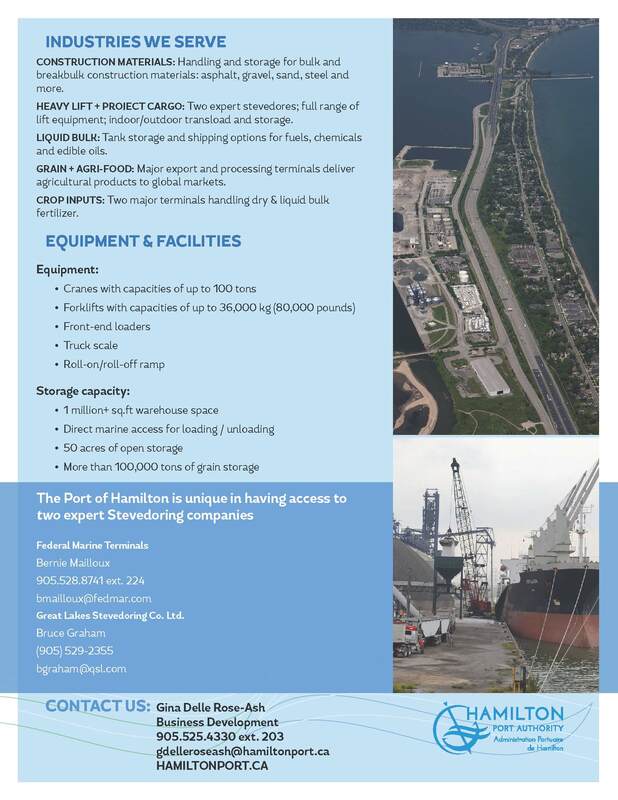 The Port of Hamilton is located within a day’s drive of 100 million North American consumers. 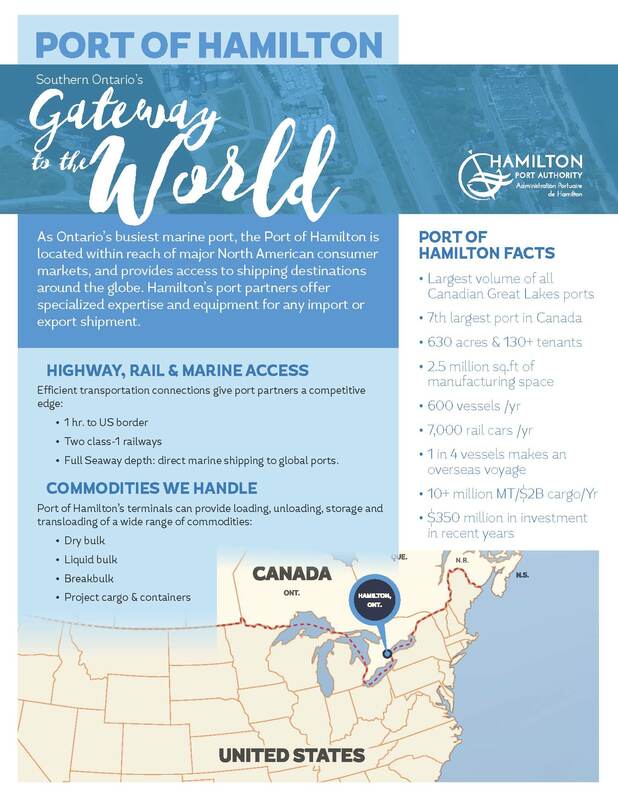 With numerous Seaway-depth berths, shippers through the Port of Hamilton have access to shipping destinations in the Great Lakes and around the globe. Ontario, Canada offers a welcoming business climate, with more than 40 international free trade agreements in place. What’s more, overseas shippers enjoy the considerable cost advantage of the low Canadian dollar.